The NX200S is an ultra-compact powered subwoofer that features a single 10" speaker and a high headroom integrated power module. 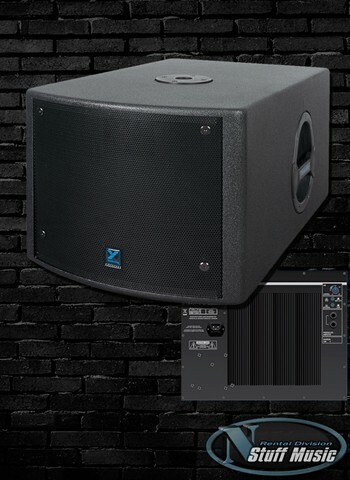 The precisely tuned band-pass enclosure of the NX200S provides rock-solid low frequency output previously available only from much larger cabinets. In fact, the unique combination of high-excursion woofers, electronic control and proprietary, series-loaded box design results in higher acoustic output than many single 18" enclosures which are 30-50% larger!